As we approach the end of the year, many businesses evaluate their IT network and look for ways to effectively utilize the remainder of their IT budget. From cloud services to little-known tax breaks for businesses, Ontech Systems can help you make the most of your budget this year. When people reference “moving to the cloud”, this could include anything from long-term email/data storage to HIPAA compliant file sharing, and more. One of the reasons cloud services have become so popular is because they help you reduce costs and greatly improve the way your company does business. Rather than wasting precious IT resources on new servers and bulky hardware, you can rely on the power of the cloud, freeing up physical space in your office. Are you ready to make the most of your limited company resources? Through the following statistics, it becomes clear that cloud-based services can positively impact your IT budget. Even more IT execs, 94% of those interviewed, felt that moving to the cloud would reduce their setup and maintenance costs. OpsRamp, 2017. If your workplace computers are in need of an upgrade or you plan to invest in other types of equipment, you could maximize your IT budget and get Uncle Sam to pick up part of the tab through the Section 179 tax deduction. Since 2015, the IRS has allowed businesses to deduct up to $500,000 worth of equipment purchases per year – a figure that could be a real game changer for your business if you’re in need of the various types of equipment described here. The IRS tax code that allows this substantial deduction is known as Section 179, and unlike other parts of the tax code, it is pretty straightforward. In order to qualify, your businesses must purchase IT equipment and start using it right away. In order to justify the deduction and protect yourself, be sure to keep all relevant records, including purchase orders, receipts and invoices. You’ll also need to keep a running total of how much you spend, since the deduction tops out at half a million dollars. As with any tax planning, it’s best to consult your CPA or tax professional before taking advantage of this deduction. A tax professional can help you make the most of this opportunity and help you protect yourself going forward. 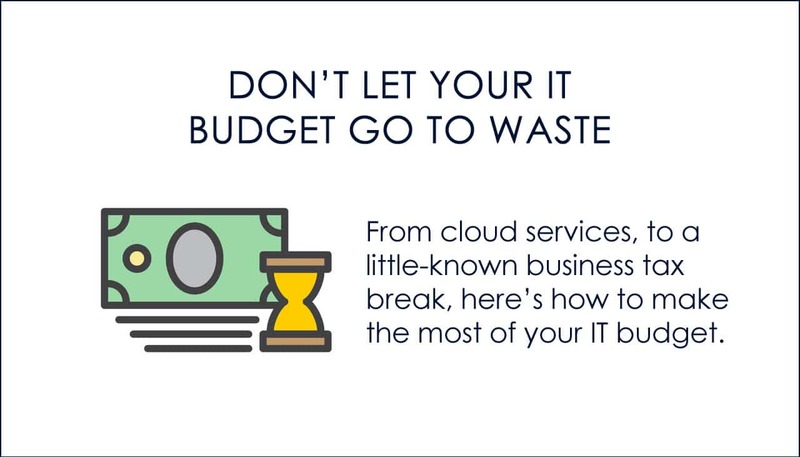 As 2018 comes to an end, there are other great ways to optimize your IT budget and avoid getting stuck in the costly break/fix cycle. Investing in managed services, for example, could substantially reduce your costs, strengthen network security, allow for predictable IT costs, and reduce your overall IT expenses long-term. Whether your goal is to identify and remove potential security loopholes, or engage your staff in security awareness training, give Ontech Systems a call at 262-522-8560 or contact us online to discuss your needs. We’ll help you find the best solution for your budget, requirements, and long-term goals. How Can Remote Desktop & Server Access Revolutionize Your Business? A revolution in worker mobility is not coming, it’s already here. Whether working from home, on the road, or at work, employers and employees are embracing remote desktop access to get the job done anytime, anywhere. While you may be familiar with the concept of working remotely, the rapid changes in technology might leave you unclear about many aspects of mobility in the workplace. Remote access means different things to different people. In 1999, the arrival of Salesforce.com introduced the concept of delivering enterprise level applications through a simple website. Since then, cloud computing has taken remote desktop connection to a completely new level. How is Remote Desktop Access Different from the Cloud? Although similar in nature, these remote access services are not the same. To understand the benefits of remote web access, it’s important to understand older remote access technology “then” compared to cloud based remote desktop technology “now”. The concept of remote access involves accessing a physical device from another location. This could be your home, an airport or anywhere in the world where you have an internet connection and a computer or mobile device. Remote access makes it possible for users to log onto company systems in a sales meeting, an airport, out of state, or in their home. Remote access allows you to access a computer as though you were in front of it, although you are three states away. You can save files to a desktop and make system changes as though you were typing on the keyboard at that computer. Remote access requires a type of software that makes it possible for users to sign onto company systems as easily as if they were on the local network. Think of it this way: Remote access simply gives you access to the physical device, whereas the cloud offers businesses greater control and additional features. 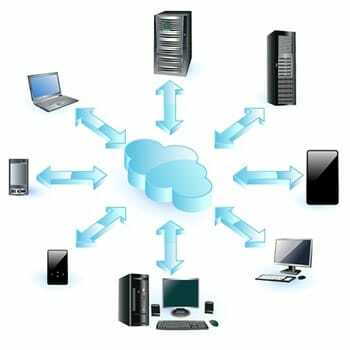 Cloud computing provides businesses with more flexibility and greater control than standard remote access. As is often necessary in the mobile workplace, users can securely access cloud based files and data from any device – whenever and wherever they need it. Staff can mobilize while staying connected to their office systems. Regional offices can directly connect to their main office computer systems, therefore eliminating the need for expensive standalone computer systems in each region. Businesses benefit from remote access through greater productivity, increased flexibility and improved teamwork collaboration. At Ontech Systems, many of our customers utilize Oncloud, a secure managed service solution that can mobilize your workplace. Whether you need secure file sync services, remote desktop care, server care, or mobile device management, we’ve got you covered. Send us a request online or call our office at (262) 522-8560. We’d be glad to answer any questions you have about mobility or any other network related issue. Naturally, many businesses have questions about remote access and cloud security. First, it is important to understand that your business has options. A one-size-fits-all, cloud-based solution will not appeal to businesses who need to remain HIPAA compliant. As a result, there are three types of cloud, consisting of public cloud, hybrid cloud and private cloud. In addition, there are five cloud storage considerations, which provide varying levels of security to meet the secure remote access needs of your business. When companies evaluate remote access security, few stop to consider how secure the cloud is in comparison to their own business network. While the cloud itself is secure, it is susceptible to security measures that must be applied, just as those in your own in-house network. Similar to how one business network might be more secure than the next, one cloud service provider may employ a higher level of security than another might have in place. How Can Remote Server Access Revolutionize Your Business? 1) MORE Productivity: Secure remote desktop access makes it possible for employees to work from anywhere they can connect to the internet. Essentially, they can reduce travel time and costs, while remaining connected to company systems. Remote computer control is possible from hotels, from customers’ offices or from public Wi-Fi access points. Remote staff can work independently without running into missing file setbacks that might hinder productivity. Thanks to 24/7 availability, employees can access any file they need – at any time – and catch-up on their work from home or even telecommute. 2) GREATER Job Satisfaction: Staff morale is higher in workplaces with remote access since they can get their work done faster and at their convenience. 3) MORE Flexibility: Worried about unauthorized access to certain files? Through cloud-based remote access software, businesses can control every aspect of what employees can and can’t access when out of the office. 4) BETTER Communication: Because they are accessing the same systems, employee communication and collaboration is significantly improved. 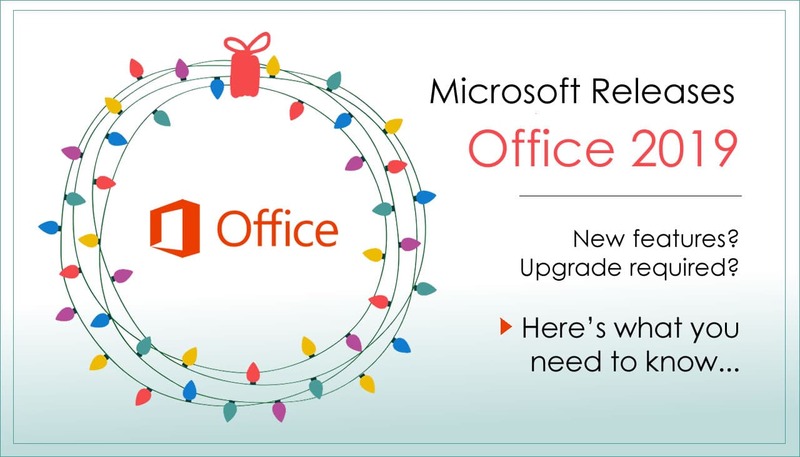 Since files are updated in real-time, employees can have peace of mind knowing the file they are updating is the latest version. Gone are the days of lengthy email chains, missing emails and copying multiple co-workers on email threads. Through a remote access cloud service like Oncloud, regional teams are brought together through seamless interaction between head and regional offices. All employees work on the same system through a simple, low-cost infrastructure. Preparation of monthly reports is easier and faster thanks to all information residing on one corporate system. 5) GREATER Efficiency: Thanks to the ease of access to remote files and emails, company workflow becomes much more efficient. Online meetings translate into less time and a reduction in expensive travel costs. Teams can work together on a project from different locations. Savings can be seen in IT costs since technical support can be conducted remotely, thus improving productivity and reducing downtime. Cloud-based remote desktop and server access eliminates a basic problem many companies face – employees need to access company systems – anytime, anywhere. The advantages of remote access far outweigh implementation costs. Through remote access, your business can increase profitability through greater productivity, efficiency, higher moral and lower travel, less IT expenses and reduced hardware costs. If you’re interested in integrating remote desktop and server access into your Milwaukee area business, the first step is evaluating your network security risks through a Free Network Discovery. Right now, there may be loopholes and vulnerabilities putting your network at risk – and you don’t even know it. Through our Network Discovery, we can run a security check-up for your business and provide recommendations to close those loopholes and ensure your network remains safe, secure and ready for remote access capabilities. If you are interested in a Free Network Discovery or have any other questions, contact our office at (262) 522-8560 or send us a request online.